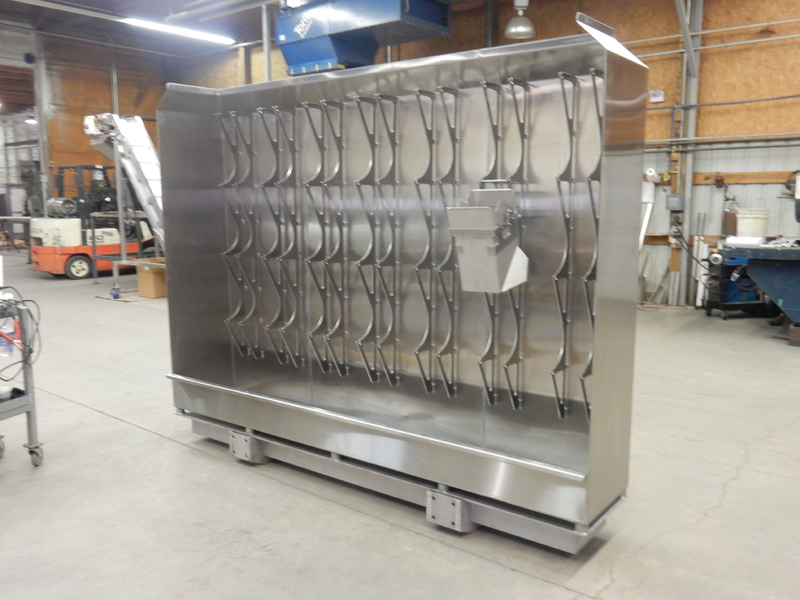 Save time and money with a scale bucket wash station from CMI! 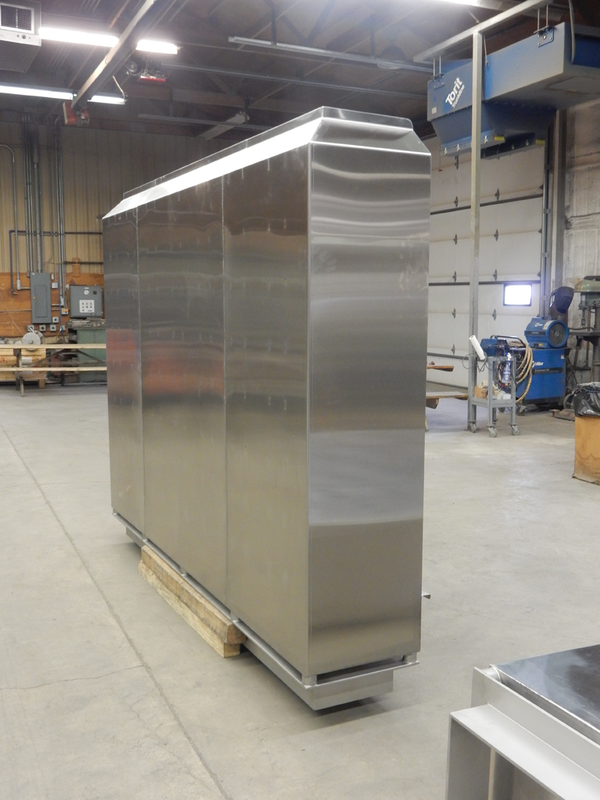 Our scale bucket wash stations are designed with the food processing industry in mind. 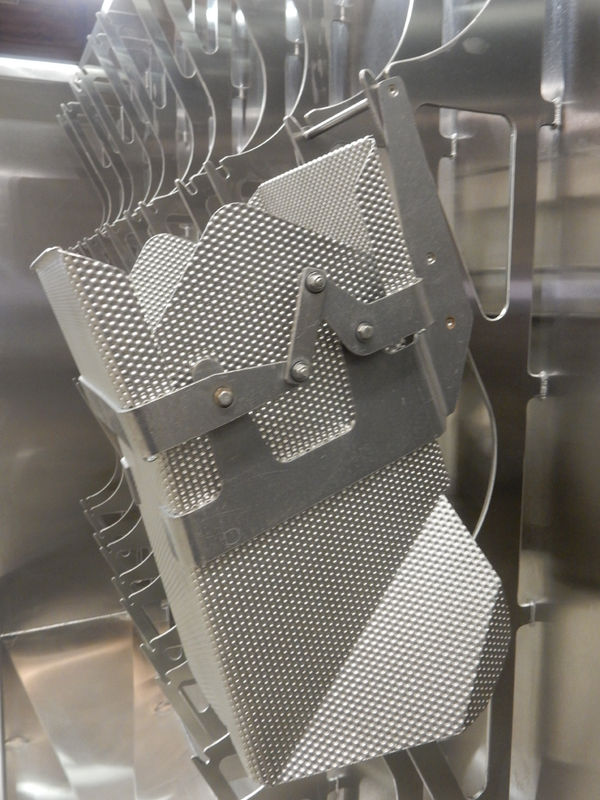 Their sanitary, yet functional, design simplifies the cleaning process while preventing buckets from getting broken or lost. 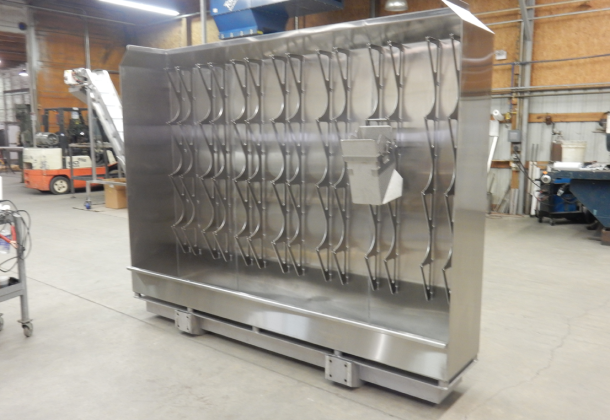 The wash stations can be customized to hold the buckets of most packaging scales such as Ishida, Yamato, and many more. 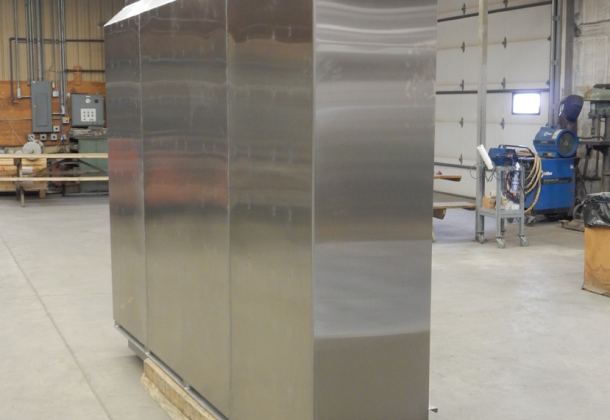 The scale bucket wash station is of stainless steel construction. 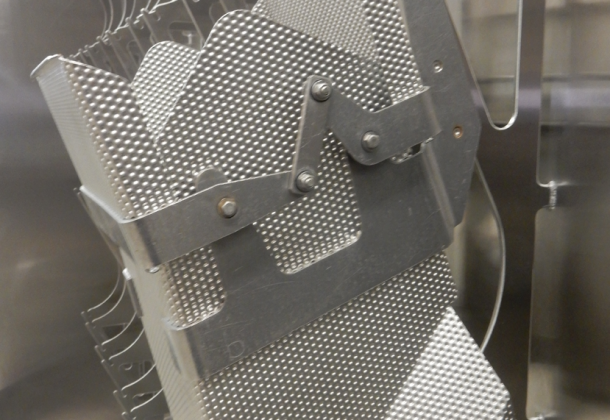 High quality material is selected to ensure excellent resistance to wear and tear. A drain tube is included, so the wash station can easily be integrated into your existing waste-water system. 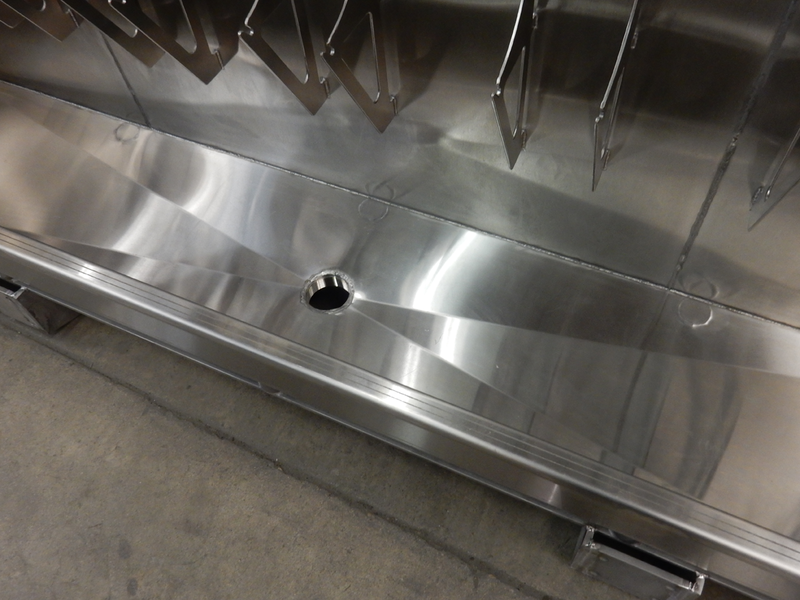 By request, screens can be added to catch debris and prevent the loss of parts that may come loose during washing. 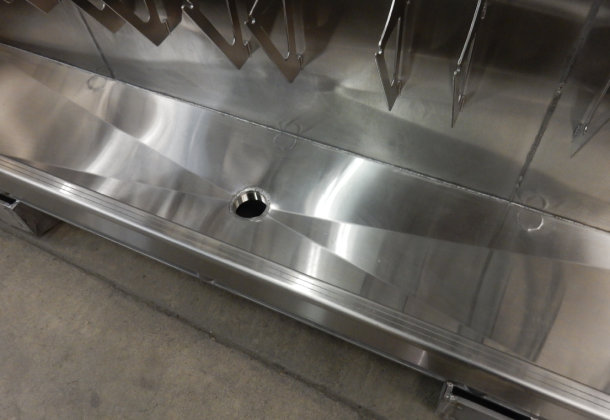 Wash stations can be configured to be mounted to either the floor with foot pads or directly onto your scale’s mezzanine for ease of handling.